Sold in pairs to hold one bottle or in BULK boxes for 90 bottles. We are always happy to review shipping costs should something look off. Please contact us. Mounts from the back onto panel or other 3/4" surface . 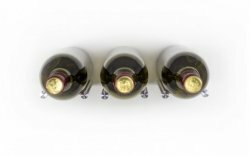 These metal peg wine racks allow the neck of the bottle to be displayed in an contemporary wine display. The brushed finish really do set these pegs apart from others. This racking system is sold based on the square foot required and can be customized to fit your space. Customer supplied 3/4" panels are required to mount the pegs and then the panel is affixed to the wall. 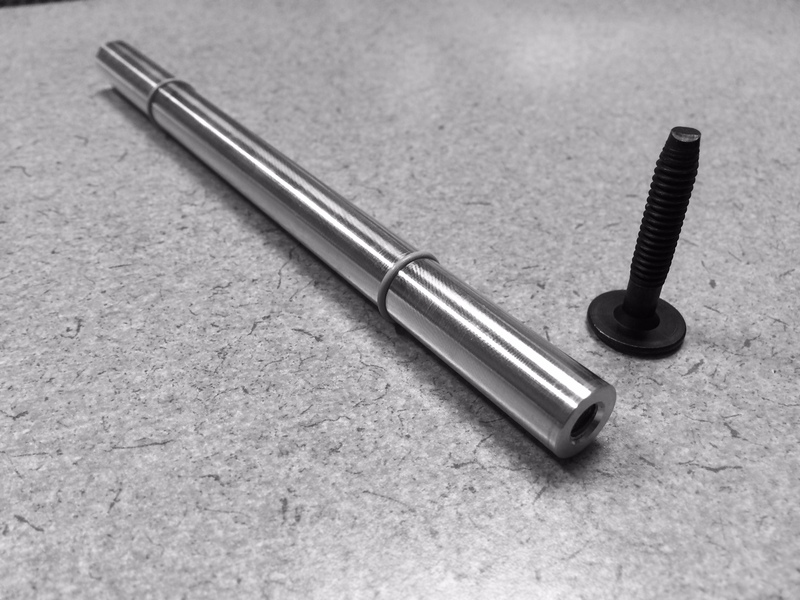 Pegs come standard with gray rings on the brushed aluminium rods. Some older pictures show a black ring on the stilver looking rods, please specify if black rings are needed to match existing older system and we'll see if available. All elastics need to be installed by the customer, they are no longer installed prior to purchase. 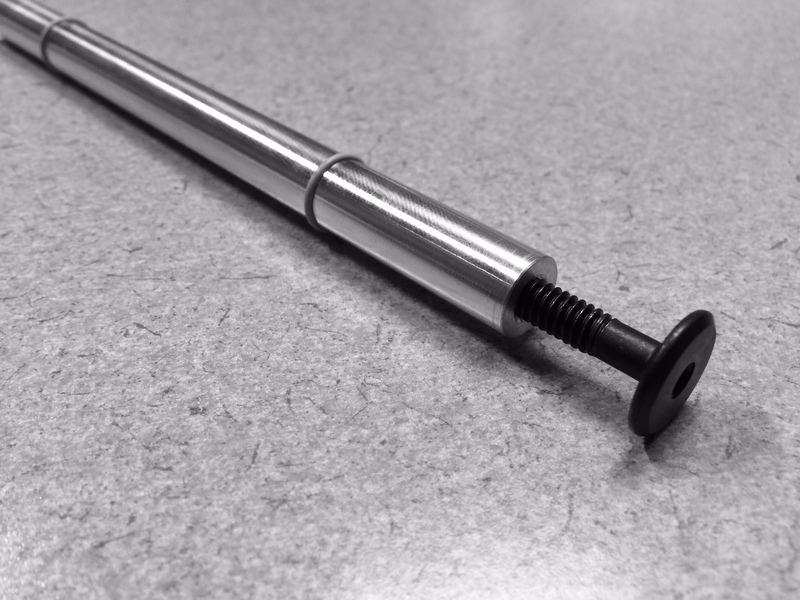 The width spacing between the pegs can be positioned between 2 1/4" and 2 1/2"
Customer is also to supply own connector bolts - These can be sourced locally at inexpensive price. 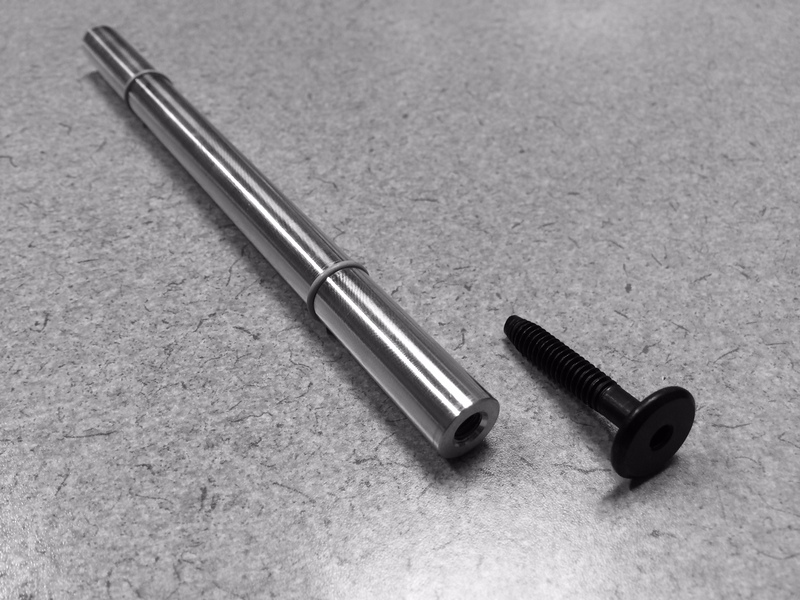 Please let us know if you wish to purchase the required Connector Bolts from us. In an effort to cut costs and speed availability, this vendor has stopped putting the elastic bands on the pegs themselves. Prior to install you will need to account for additional time to position the elastic bands in place. YES, we agree that this tedious task should be done at the factory and have expressed our concerns - we just wanted to let you know what to expect when you open the box. The Wine Wall metal peg wine racks allows wine bottles to be displayed in an contemporary wine display. The necks of the wine bottle are perpendicular to the wall. 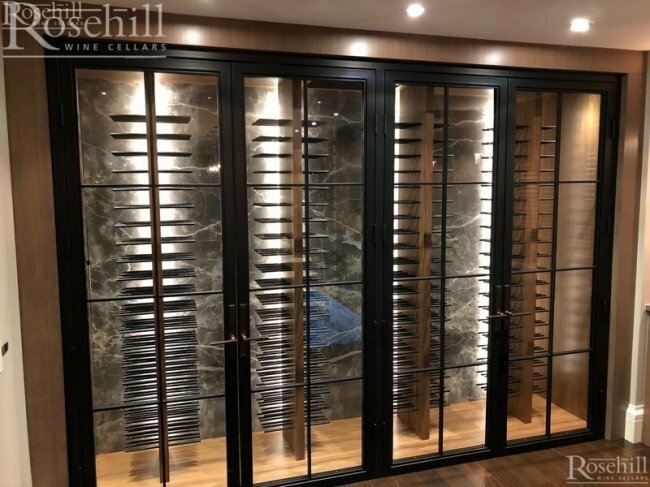 A 3/4" backing is required to fasten the Wine Wall 12 peg system and then the panel is affixed to the wall. .
Acrylic - Available in a variety of colours and can come with "back light"
Stainless Steel, Aluminum or various metals in a variety of colours. 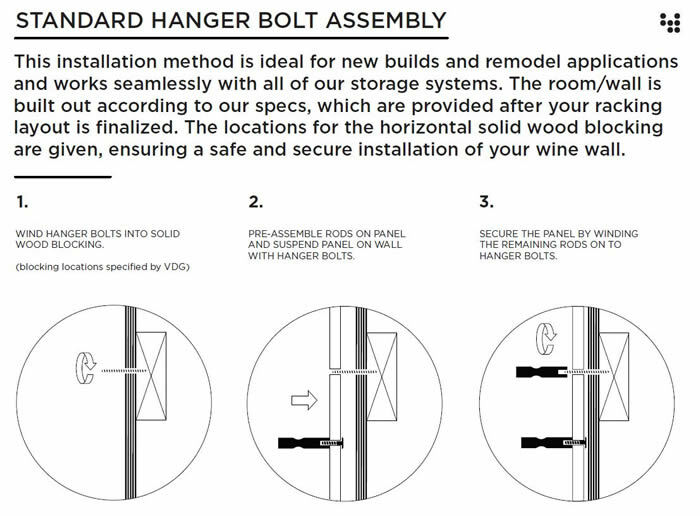 Customer supplied 3/4" backer board is required for the wine wall system. Wine Wall Example - 29"w x 57" h stainless steel backing is roughly 11 square feet and holds 56 bottles (8 rows, 7 columns) when leaving 12" spacing on top and bottom for aesthetics. 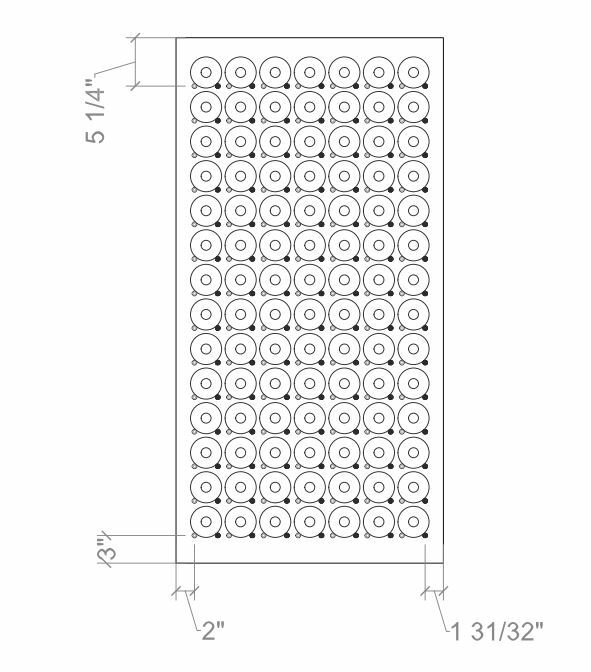 To maximize bottle capacity you could increase to 98 bottles (14 rows, 7 columns). FYI - The minimum space needed from top of panel/ceiling to center of top rod is 5.25" to allow for bottle movement and structural integrity of the panel. This will still have roughly 2" reveal of the top panel. The Connector Bolts are 35 mm 1 1/2" long. They are no longer included with the WW12 pegs.